Summer is in Vancouver once again and the sun is shining. 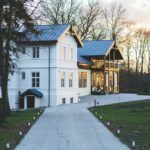 If you want to keep your pavement in the best shape as possible, you must bear in mind a few things. No one likes to deal with pavement damage, especially on such a beautiful season as summer. However, if you take good care of your pavement, it will last for many many years to come. This will allow you to save your money and some unnecessary headaches. 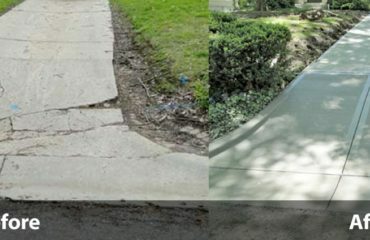 Don’t wait until it’s too late and the damage is already done to your pavement. Instead, refer to some of our pavement maintenance tips for the summer. One of the most common damages seen in asphalt or pavement in general is cracks. It may not seem like a big deal, but the reality is that cracks in the asphalt will allow water penetrate deep inside your pavement. This can lead to more damages on your pavement. A good pavement maintenance tip is to have the cracks sealed every year, especially in the humid Vancouver weather. Another asphalt enemy is oil. During summer it’s common that people take that motorcycle or convertible that’s been sitting in the garage for most of the year. Check if they are leaking oil, and if they do, clean it up as soon as possible. The same goes for fuel. Both can be bad to your pavement, even it’s not an immediate danger, you should just clean it. Pay attention to diesel, however, as it can corrode asphalt quickly, and must be dealt with immediately. A seasonal enemy that many people ignore is the heat. Asphalt is pretty resistant and can endure most things. Heat, however, while will not directly damage it, will make it softer. 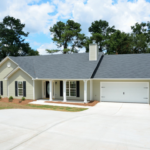 To avoid damage during the warm months, try to avoid parking on the same place every day, distributing the weight of vehicles on your driveway. Some of the best pavement maintenance tips are actually very simple and straightforward. 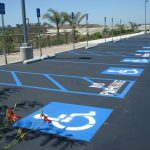 Seal the cracks regularly, keeping water and humidity away; keep your pavement clean and free of other chemicals like oil and fuel; sealcoat it periodically, like every three years to keep the pavement in a good shape and protect it from water, chemicals, UV light and more. 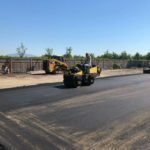 As usually, it’s always best to count with professionals that are experienced in dealing with pavement, like Richmond Blacktop, that has a long standing tradition of quality and reliability in Vancouver and the Lower Mainland. Contact us for a free estimate.